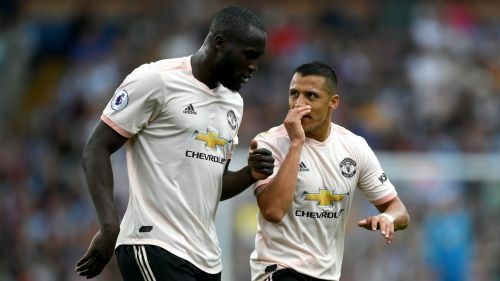 Ole Gunnar Solskjaer has challenged Alexis Sanchez and Romelu Lukaku to take responsibility for their Manchester United careers as they near a return to action. Neither player has featured since Jose Mourinho's dismissal with a hamstring injury having sidelined Sanchez since November, while Lukaku has missed the last two matches for personal reasons. They and fellow attacker Anthony Martial could come into consideration for the Premier League date with Bournemouth on Sunday and there is a hope that caretaker coach Solskjaer will unlock their best performances in the manner of Paul Pogba's recent improvement. Sanchez, a January arrival from Arsenal, has struggled to capture anything approaching his best form at Old Trafford and Lukaku has scored just six times in 21 appearances this term. Solskjaer, however, refused to take credit for France midfielder Pogba's renaissance, and put the onus on the other underperforming members of United's squad to meet expectations. "I cannot do anything for their performances on the pitch. Paul has done it himself, the players have done the performances," the Norwegian said. "I'm here to guide them, help them on the path, and then it's up to them when they get a chance. "That's the name of the game as a footballer, you have to do it yourself. Yes, you want help from your team-mates and your manager. I give them some guidelines. "He's one of the top, top players in the world." "Of course there has been loads of talk about freedom of expression, but that's how I've always been as a manger. You can't tell all the players what to do in this position, that position. "They're here for a reason, they're good players, and it's up to them to use their imagination and creativity, and just enjoy playing for this club because that's the best part of your life. "But it's not bad being manager either, for a little while." Solskjaer, who boasts two wins from as many matches in charge of the Red Devils, said Sanchez, Lukaku and Martial - an absentee from the victory over Huddersfield Town due to illness - would all be monitored closely after completing only light work in the lead-up to Friday's training session. Chris Smalling remains unavailable due to a foot issue, with the trip to Tottenham on January 13 targeted as a possible return date.